This is also en excellent development. Hope for the best and advance congratulations to all our counterparts. All of this forum, every body know better, the existing going to complete the tenure but our time scale is still pending in Finance Division and the Finance division is delaying practice again and again. If any body access or political source to approach to Finance Minister etc for time scale. 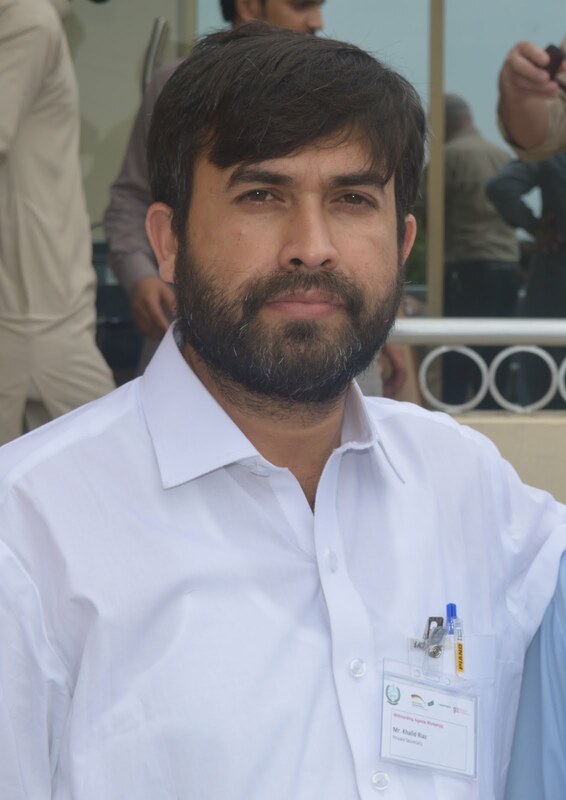 Khalid bahi, thanks to provide the update information. But I think Fiance Division try to waste the time. 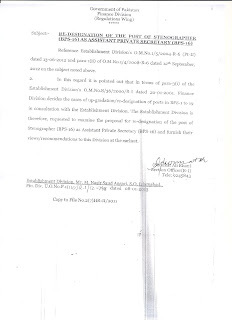 The Establishment has already given the suggestion to the Finance Division but there was no reason to again sent back or to review the up-gradation/change of designation. It was only delay practice. 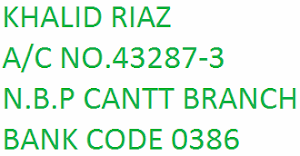 Dear Khalid Bhai...! Assalam-O-Alaikum. Allah Almighty may give you sound health and rewards for your brilliant efforts for all the community. Our Best regards are always with you. Hopefully very soon, a meaningful nomenclature will be announced.....! Best Of Luck Dear Brother....! Many thanks for doing so much for this deprived class, my question from your goodself is that if Stenographer is re-designated as APS then what will be the next channel for their promotion to BS-17, whether they will be promoted as P.S or what? And how they will become PS as there are only limited Nos of BS-21 officers in every Ministry/Division, it is sure that only 2 to 4 person will be promoted as PS to (17) and then what about the remaining? Kindly guide us. Another way is that you may use your linkages to lower down the entitlement of PS to Officer of BS-20, this way quite a handsome No of Stenos can be benefited. Furthermore, recently FST has granted pre-mature increment on up-gradation to all the up-graded cadres like Stenos, Computer Operators, Auditors etc, what is the latest position in this context and what you are planning to do furhter i.e. back-date upgradation of Stenos w.e.f. 2005 like Audit case. You are requested to kindly take it serious and discuss with each other and legel expers. 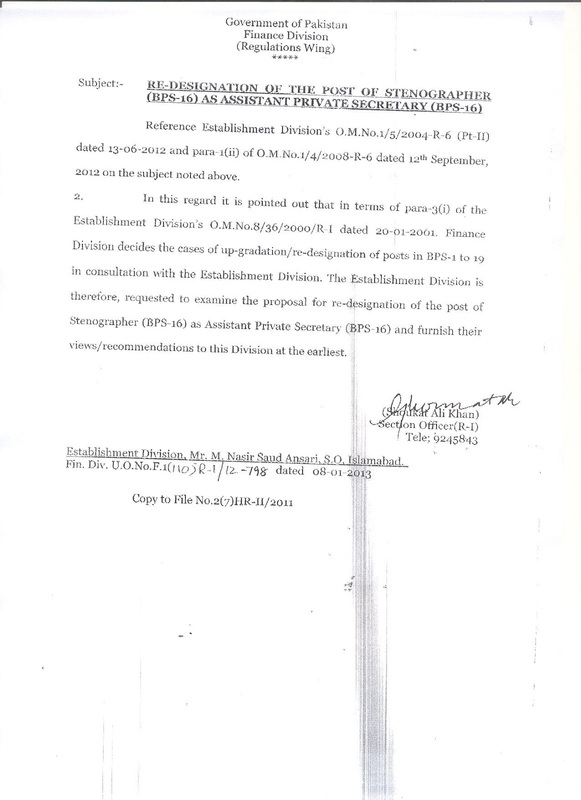 Further the post of BS-20 Officer may also discuss for the entitlment of Assistant Private Secretary BS-17. It is Further stated that restoration of 10% quota for STENOGRAPHERS may also take up with the higher authorities. Hope my proposals will resolve our all issues. Please pray for up gradation in Punjab as the delay is creating tension for us. Let me know anyone the latest progress in Sindh & Balouchistan.